Cherise Adams-Burnett is a London-based jazz vocalist. 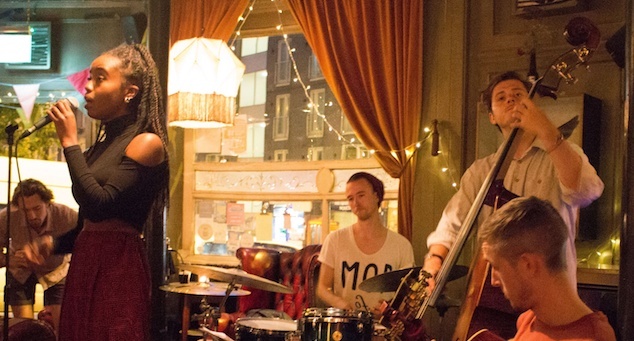 At just 21 years old, Cherise is already making waves within London's vibrant jazz scene. She has studied at Trinity Laban Convervatoire of Music and Dance in Greenwich and brings all that honed experience with her to the stage. Born and raised in Luton, Cherise started her journey with music as a member of the Luton Community Gospel Choir at the age of 14. Two years later, she joined the jazz development organisation Tomorrow’s Warriors. She has been heavily involved in the organisation as a student, apprentice and now as a tutor/leader for workshops and projects helping children & teenagers develop their musicianship. In 2016, Cherise has also worked as a Teachers Assistant in New Jersey at the Jazz Summer School of the acclaimed bass player Christian McBride. In her career so far, Cherise has had the privilege of performing in the West End, performing with the internationally recognised group Jazz Jamaica, and of working with sensational and accomplished musicians including Gary Crosby OBE, Jason Yarde, Jay Phelps, Theo Jackson, Denys Baptiste and China Moses. Though her foundations lay within Jazz, she has proven her adaptability as an artist through acting. 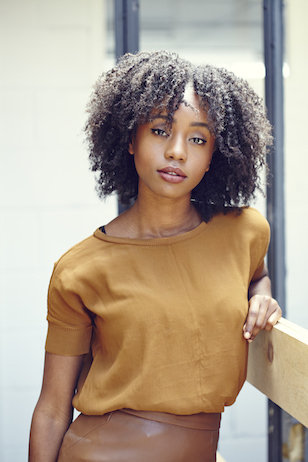 Cherise has worked with the world-renowned theatre Directors Peter Brook and Marie Helene as a co-star in their latest tour of The Suit. Cherise’s main passion, however, is jazz. She is available to sing captivating jazz standards for your event. Enquire today.